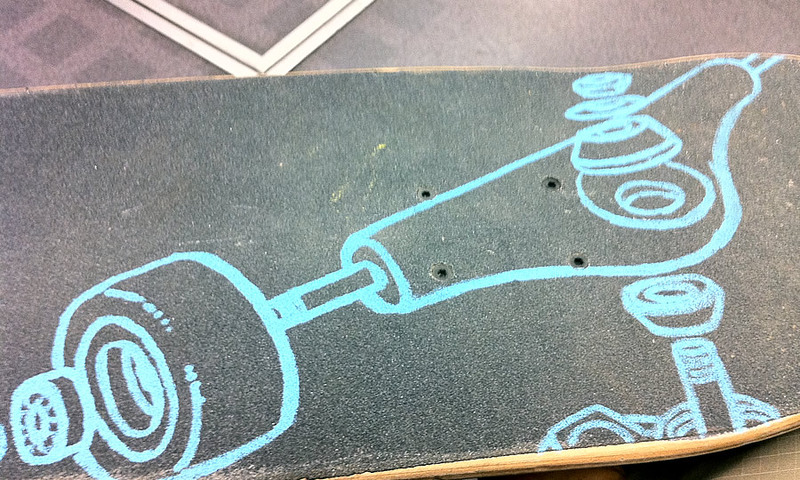 i had a sweet blue posca-uni in my pocket on the train today so i began to sketch on my griptape with the idea of drawing an over-sized exploded diagram of a bearing-wheel assembly on a skate truck. 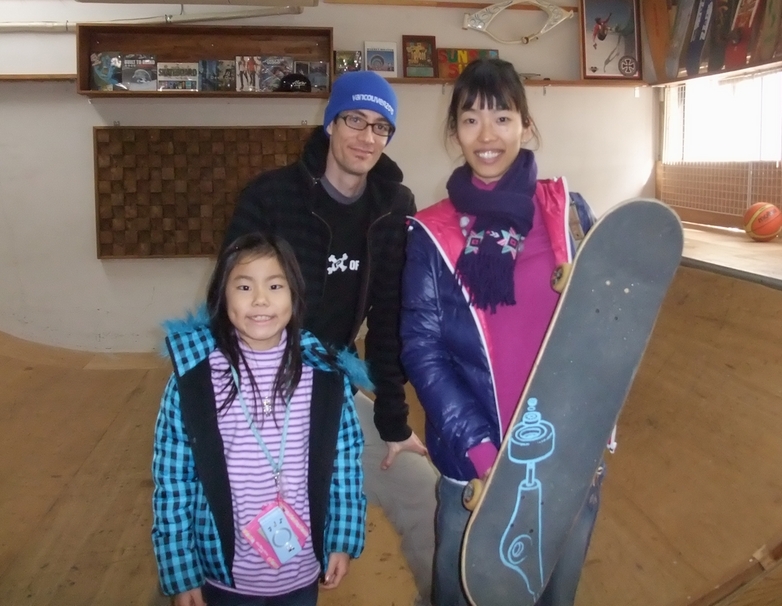 we were on the way to hang out at sunset surf shop in kobe, so between runs on the (slick!) d.i.y. in-shop miniramp, i added to the drawing and completed the truck hangar. on the way home i finished the baseplate and worked on the color. 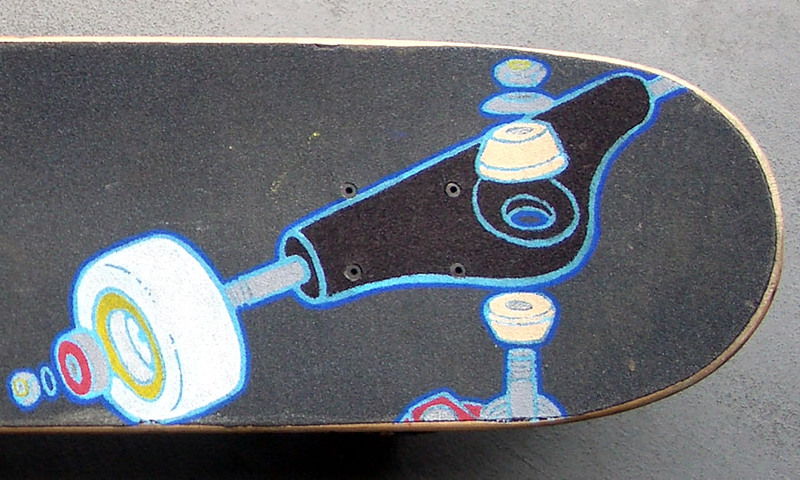 i am really stoked about how the blue outline pops against the grip and the fill colors. thanks to hama~san at sunset surf for letting us chill and skate at the shop and check out your rad collection of skateboard history. next time we will skate together, rei~chan! 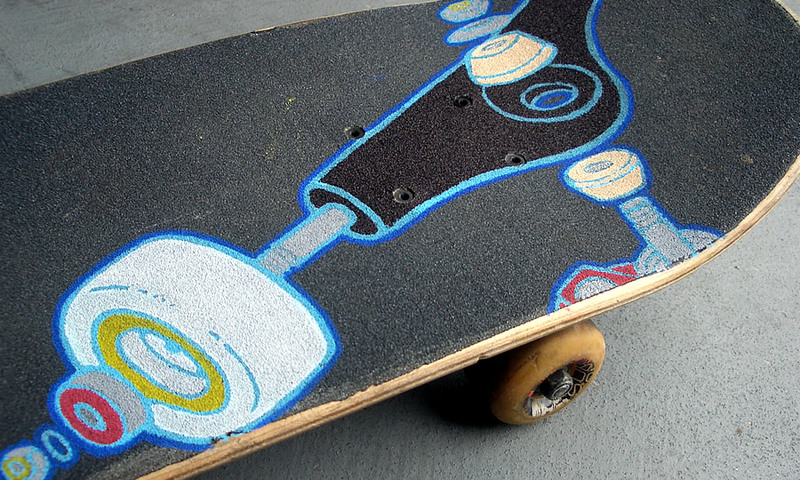 Posted in art.design.life.Tagged decks, design, illustration, paint, projectskates, skate.